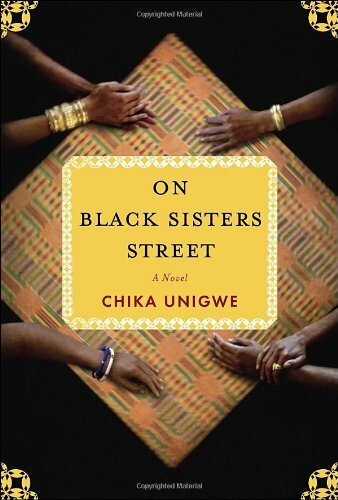 On Black Sister Street, by Chika Unigwe. Random House (2011), Hardcover, 272 pages. A compassionate novel about four Nigerian women working as prostitutes in Belgium and the situations that led them into that life. Prostitution is humiliating, grim, and exploitive, but the actual women engaging in it are not dull passive victims. In this novel by a Nigerian woman they are shown as unique individuals caught in situations that seem hopeless, ready to grab at an alternative that seems to offer a path to a better life for themselves and others. Sisi, the major character in the book, has a college degree but is unable to find a job in Lagos. Efe is an unwed mother unable to support her child. Ama grew up in a strictly Christian family where she was regularly raped by her stepfather. She escaped his control, but got caught in a dead-end job. Joyce was actually a Sudanese whose family had been killed in the violence there. She had been sent to a refugee camp where she met and fell in love with a Nigerian peacekeeper. He took her home with him, but when his family refused to let him marry her, he sent her abroad to be a prostitute. The four women share an apartment, and when tragedy strikes they share their stories with each other. In recent years feminists have argued about prostitution. Some have claimed that it is so damaging to women, both those involved in it and women at large, that it should be banned. While Unigwe certainly shows how abusive the practice is, her book offers little evidence that legal measures could be affective in stopping it. The wealthy Nigerian man who runs the prostitution ring that ensnares the women is already acting beyond the law in transporting them to Belgium. He and his employees bribe the police with impunity. Part of the horror of the women’s situation is the rigid control and extra-legal violence with which they are held captive by men. But to claim that prostitution is a viable choice for women seeking empowerment, as some have done, also seems far-fetched. The four women in the novel have chosen or accepted prostitution, but only because they see no other alternatives. Unigwe tells us that three of the four women are eventually able to pay off their enormous debts, save money, and free themselves from prostitution. What happens to the other woman provides the suspense in the novel. Chika Unigwe was herself born in Nigeria and later moved to Belgium. She has a Ph.D. from a Belgian university and writes in various formats in both Dutch and English. Her vigorous prose conveys the pain and ambivalence of women whose voices are seldom heard. She allows her subjects to regain a bit of their dignity. On Black Sister Street deals with women’s pain, but Unigwe’s warmth towards her characters keeps the book from being overly depressive. At times, Unigwe’s book reminded me of Hope and Other Dangerous Illusions, by Laila Lalami, with its clear portrayal of why individuals take the enormous risks of illegal immigration. One of Lalami’s characters is also a prostitute. Both these books support the view that there is no easy legal fix for prostitution. Its end can come only when all women and men have reasonable hope for living fulfilling lives.